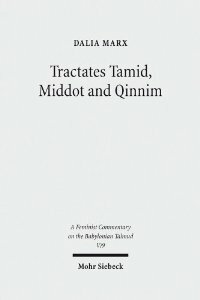 With my book, The Iranian Talmud: Reading the Bavli in its Sasanian Context (Philadelphia: University of Pennsylvania Press) in production and due out later this year, I have finally been able to return to research I first conducted for my dissertation, which looked at the rabbinic laws of menstruation in light of Zoroastrian parallels. I hope to use the space of the Talmud Blog to think “out-loud” through some of the issues – large and small – that I suddenly find myself confronting as I turn this project into a book. What I will be presenting are readings, meditations about gender, and (formerly) personal thoughts connected to the larger questions of meaning that one is not really “allowed” to ask in academic discourse. I hope readers will indulge me this virtual confession booth, and that you will chime in with your thoughts and reactions along the way. 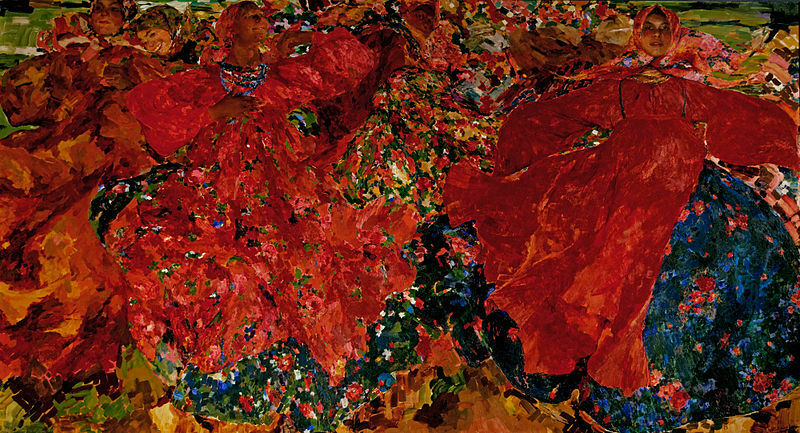 Writing in the humanities is a consciously aesthetic form of expression. Yes, the register is critical, even “scientific.” But the truth is that most scholars study people and their cultural productions because humankind is at heart, beautiful and tragic, and ultimately, tragically beautiful. When the charity is absent, the writing does not just fall flat. It bubbles with a venom and scalds the reader. What happens when the beauty of a certain facet of humanity – especially a religious phenomenon – comes off as unsavory and even disgusting to nearly everyone but the scholar who is totally devoted to its study? I carried this heavy feeling with me while writing my dissertation on the rabbinic laws of menstrual impurity in light of corresponding Zoroastrian texts. Why menstruation? Why impurity? Why gender politics and strange Zoroastrians, and the darkness of Babylonia, the distances between men and women, and particularly, the messiness of niddah with its rags, spotting and colors? I recently came across a poignant midrash that I must have learned before yet it somehow never really registered. The text speaks foremost of the ever-relevant conundrum of finding something meaningful to say when the wellsprings have all dried up. I am sure it still speaks to contemporary rabbis racking their brains for sermon ideas during the harsh winter Sabbaths of Leviticus. ר’ שמע’ בר’ יצחק פתר קרייה בפרשותיה שלתורה, אפעלפי שהן נראות כאילו כאורות כאילו שחורות לאומרן ברבים, כגון הלכות זיבה ונגעים, אמ’ הקב’ה הרי הן עריבות עלי. הה”ד וערבה לי”י מנחת יהודה וירושלם. תדע לך שהוא כן שהרי פרשת זב וזבה לא נאמרו באחת, אלא זו בפני עצמה וזו בפני עצמה, “איש איש כי יהיה זב מבשרו”, “ואשה כי יזוב זוב דמה”. 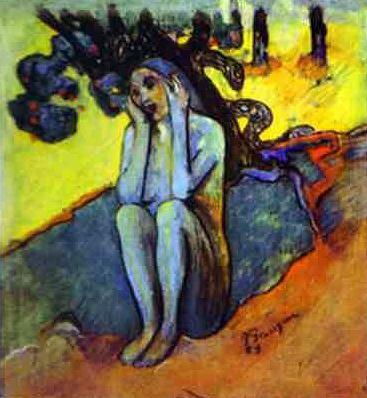 R. Shimʿon b. R. Yitzḥaq explained the verse [“(His locks are…) black as a raven” –Song of Songs 5:11] as referring to portions of the Torah. Even though they can seem as if they are ugly, as if they are too black to discuss in public – for example the laws of discharges and skin diseases – the Holy One blessed is He said: “They are pleasing (ʿarevot) to me”. This is what is said: “Then the offerings of Judah and Jerusalem shall be pleasing (ʿarvah) to the Lord” (Malachi 2.15). You should know that this really is true. For the portion dealing with the zav and zava were not said as one, rather this one by itself and this one by itself: “When any man has a discharge issuing from his member” (Leviticus 15:2); “When a woman has had a discharge of blood” (Leviticus 15:25). Leviticus Rabbah is a homiletical Midrash, which according to one school of thought means that – even if only very distantly – it reflects a form of public discourse that took place in the quaint synagogues of late antique Palestine. One can almost see R. Shimʿon b. R. Yitzḥaq struggling mightily to find some comforting message for local synagogue attendees as they read Leviticus 15, with its bloody and seminal discharges. In frustration, he nearly admits that these parts of the Bible are nothing short of revolting – they are as “black” as a raven. The genius of this passage is the way it non-judgmentally establishes a distinction between human and Divine aesthetics, yet at the same time questions the validity of the human view. The passage turns on the modifier “seem” and the question of aesthetic “truth.” In rabbinic aesthetics, black is seen as unattractive. Yet this beauty judgment is simultaneously turned on its head. The classical interpretation of the Songs verse “I am black but beautiful” is not far from “black is beautiful” since it calls into question the original aesthetical claim that black is not beautiful. It is just as difficult to talk about hideous skin diseases, various bodily functions, and their governing rituals today as it was in the fourth century C.E. – although the reasons for this, in a secular age, may be different. Even in late antiquity there were rabbis who wished that Leviticus 15 was shorter (something not too difficult to achieve, given its chiastic structure of a. irregular male discharge; b. regular male discharge; a’. regular female discharge; and b’. irregular female discharge). Yet God is depicted as lovingly lingering over the very topics that humans prefer to rush through. The message of this midrash is that human revulsion at menstruation is understandable, but ultimately misguided and immature. God is able to recognize the beauty of these topics which people incorrectly see as “black.” Of course the midrash does not suggest how one is to gain an appreciation of the “pleasing” nature of menstruation. There has been much writing about the laws of Niddah since the feminist turn in Jewish studies (which I suppose dates back to the 1970s). Some of the scholarship is apologetic, some openly hostile, and while some succeeds in striking a balance of sorts. I suppose the fact that these laws were – and remain – profoundly meaningful sites of religious experience for many women (and men?) should somehow lead the way to seeing its beauty. Even if the writing must be critical, and the male power-plays not shoved under the rug, there must be a way to achieve a beautiful, productive sympathy. Evyatar Marienberg, La Baraïta de-Niddah ברייתא דנידה. Un texte juif pseudo-talmudic sur les lois religieuses relatives à la menstruation (Bibliothèque de l’Ecole des Hautes Etudes Sciences Religieuses 157; Paris : Brepols, 2012). The Baraita deNidah is one of those compositions that should trouble anyone who is interested in the study of rabbinic literature. Its very existence, history of transmission and reception defy traditional views of the rabbinic corpus on both ideological and Halakhic respects. The recent edition of the text by Evyatar Marienberg, with its excellent reproduction of the witnesses and the extremely rich and helpful introduction, is therefore an exciting event. This book is a revised version of the second part of the author’s doctoral dissertation, published in French a decade ago as Niddah. Lorsque les juifs conceptualisent la menstruation (Paris: Les Belles Lettres, 2003). The Baraita de-Nidah made its first appearance in the field of modern rabbinic studies with the edition of Haim Meir Horowitz. An Orthodox Jew from Frankfurt, Horowitz owned a bookshop where he sold new and old Jewish books as well as some manuscripts. He published several rare rabbinic texts, among which was our “Baraita” in 1890. Marienberg reproduces the main manuscript upon which Horowitz based his edition (the manuscript itself is now lost). Also published here are all of the other witnesses of the text, which are much shorter. The longest among them is preserved in manuscript Parma Palatina 2342 (De Rossi 541) where our text is entitled הלכות נידה and occupies two out of 284 folios. Other witnesses are found in some medieval rabbinic works such as the Kol Bo, Likkutei ha-Pardes and ha-Rokeah. Each one of the ten witnesses is described by the author and even more importantly, is transcribed by him separately and then in a synoptic edition. Four witnesses contain the story of the birth of Rabbi Ishmael, which is also known from another sources. Based on a philological analysis, the author concludes however that this story did not figure in the original version of the Baraita. The text, or more precisely the family of texts (one is almost tempted to use here the term “macroform”) offer a series of halakhot in matters of nidah which are far stricter than the ones we find in “normal” (and normative) rabbinic literature. Particularly, the menstruating woman’s capacity to defile is extremely exaggerated when compared to talmudic sources. This lead some scholars to link the Baraitha to the Zoroastrian environment of Babylonian Jewry (p. 66). The problem with this hypothesis, as indicated by the author, is that most scholars believe that our text was redacted in Palestine– it is written in Hebrew and mentions only Palestinian sages. However, as Marienberg argues, one should not rule out a non Palestinian origin of the text (he proposes Italy and the Byzantine Empire). Of course, a Babylonian origin is still possible. Marienberg mentions Ephraïm Kanarfogel and Sharon Koren who connect the Baraita to Heikhalot literature. If we situate the origin of the latter in Babylonia, it may be used as another argument to support a Babylonian origin of the tractate. Marienberg mentions several theories concerning the reasons the text was written in the first place. Some of them were already raised by Horowitz, particularly the possibility that the small tractate was a Karaite composition since some of its teachings resemble Karaite practices. Thus, it is conceivable that the tractate was written either in order to mock the talmudic tradition or to criticize it by showing that the rabbis of the talmudic period shared some of the ideas that were defended by the Karaites. However, Horowitz himself ruled against the possibility of a Karaite origin, as did most of the scholars who later dealt with the question. This interesting debate together with some others related to the date and the Sitz im Leben of the text are summarized by Marienberg in his introduction. In general, Marienberg is very cautious and quotes Daniel Sperber’s conclusion from the article dedicated to the Baraita in the revised edition of the Encyclopaedia Judaica, according to which neither the date nor the author of the text can be determined with certainty. Marienberg does, however, suggest that the text was redacted after the talmudic period. In another important part of the introduction the author discusses the reception and influence of the text after its composition. The rarity of manuscripts shows that at least the two long recensions (Horowitz and De Rossi) were not well-diffused in the Jewish world. However, we do find references and even quotations of the text in some popular medieval books and commentaries. The most famous example is probably Nahmanides’ exegesis on Genesis 31:35 which quotes some of the teachings of the tractate and refers to it as ברייתא של מסכת נידה. According to one of Marienberg’s conclusions, the tractate was used and quoted mainly by authors living in a Christian environment. He proposes to connect this phenomenon to the absence of a direct confrontation with Karaites in the Ashkenazi world – since the teachings of the tractate are close to some karaite practices, rabbinic authors from Islamic environments, where the karaite movement was relatively strong, felt much less comfortable using it. Finally, Marienberg proposes to see the Baraita as one of the “minor tractates” whose status in the rabbinic corpus is somewhat liminal. He reminds us that one of the reasons that these tractates came to be considered as belonging to the talmudic corpus is the fact that they were included in the 19th century Romm edition of the Bavli. Horowitz edited the text after the publication of the Romm edition. Thus, Marienberg raises the possibility that an earlier publication of the Baraita, and its subsequent inclusion in the Romm edition, would have changed its place in the rabbinic corpus, enhancing its status as an official rabbinic text. This question is left open. Given the great anxiety pronounced by the author of the Baraita towards menstruating women, maybe it is for the best that this extremely misogynistic text was left outside the “official” edition of the Talmud. This important publication adds another element to the debate regarding the limits of the talmudic corpus and talmudic culture in general. That is why the thesis about the relationship between this text and Heikhalot literature is so compelling – if we consider, together with Michael Swartz and more recently Moulie Vidas, that the Heikhalot corpus was redacted inside the walls of the Babylonian Yeshiva but not by the same authorities that produced the Babylonian Talmud, we can ask whether the status of the tractate as semi-rabbinic text reflects the position of its authors who acted somewhere on the margins of what became the normative rabbinic discourse. This may provide us with a multidimensional picture of the early medieval rabbinic movement, in matters of authority, scholarship, Halakha and of course – gender. This post, crossposted from The Times of Israel, is the first in a series on the state of advanced Talmud study for women. In a world just opening its eyes to the possibility of women’s advanced and committed Torah study, the closing of the Advanced Talmudic Institute at MATAN, an institution which pioneered women’s study of Talmud, is a tragedy. In the past few decades, the gates of Torah study have been opened to women, tapping into a previously underutilized sector of our community. Our generation has been privileged to witness and experience tremendous progress in the religious education of women, as, one by one, institutes, seminaries, and houses of study for women were established and thrived as centers for learning and teaching Torah. In accordance with these developments, today’s women have soared to new heights, becoming active participants in realms previously closed to them – as halakhic advisers, as advocates in rabbinical courts, and even as heads of batei midrash (houses of study). As women who have devoted their time to Torah study, how fortunate have we felt to actively take a part in this world, one which was largely inaccessible to our mothers and grandmothers. Unfortunately, these advancements are undermined with the closing of our beit midrash, the Advanced Talmudic Institute at MATAN, at the end of this year. MATAN, the Sadie Rennert Women’s Institute for Torah Studies, was established in 1988. The Advanced Talmudic Institute began its first cohort in 1999, and is a leading program in advanced study for women. The Talmudic Institute offers its students the unique opportunity to delve deep into the world of the Talmud, using both traditional and modern methods to understand this literary and spiritual gem of Jewish tradition. Over the course of the three-year program, students hone their skills and broaden their knowledge, as they strive to impact the world of learning in particular, and society and culture in general. To help build these future scholars, educators, and religious leaders, MATAN offers students a living stipend. The Talmudic Institute has proven itself over the years, as its graduates have filled a variety of roles in secondary school and higher education, both in Israel and in the United States, and brought sensitivity and knowledge to the religious leadership. This year, 12 fellows comprise the sixth cohort of the Institute. But, at the end of this year, the Advanced Talmudic Institute at MATAN will be shut down prematurely. Despite the personal obstacles this has created for us, our greater concern is the implication this has for the wider Jewish community. The Advanced Talmudic Institute at MATAN is one of the only programs for women in Israel that focuses on high-level Talmud study. Closure of the Talmudic Institute will be a huge step back in the world of Torah study for women. Not only will those seeking to learn suffer, but there will be a community-wide impact as well. This powerhouse for training women to be educators in institutions of Torah study will no longer be able to provide the Jewish community with talented and able female leaders. The institutions that have begun to open their doors to women will no longer be able to turn to MATAN to instruct and support aspiring students of Talmud. Most of the current students at MATAN have studied Talmud in university and will continue to do so. Although we appreciate the important tools that world offers us, do we want to send the message to Jewish women that the only place they can study this most central text is in academia? A university setting cannot replace the beit midrash, which facilitates careful, intensive Talmud study in an environment that allows one to immerse oneself in its reality. We are in the middle of a unique historical process that is changing the face of religious Zionist society. The women’s Torah-study revolution is not over; it has barely begun. We must not let it fade into the paleness of a face behind a curtain. Moriah Be’er Chriki, Yedidah Koren and Davida Klein Velleman are fellows in the sixth cohort of the Advanced Talmudic Institute at MATAN. UPDATE: Matan issues an update and a clarification. In 2009, Paul Socken edited a collection of articles entitled Why Study Talmud in the Twenty-first Century. 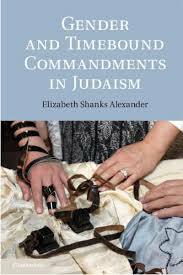 It is for the most part a finely curated group of essays that provide real insight into the inner-world of modern Talmudists – even if there are some minor organizational problems (some with gender implications). In the most recent Shofar Magazine, Ricky Hidary offers a great summary and assessment of the collection, which I can attest is well worth the read, and if you buy books, the money.